We do not need an SSL because the information collected that is supplied by users of this website is not stored in an insecure database. Modal pop-up disabling (Modal pop-ups may show up more frequently than necessary), and our Google Adwords and Facebook remarketing campaigns may not work as intended. We will notify the users via on site notification within 7 business days. 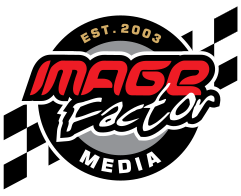 If at any time you would like to unsubscribe from receiving future emails, you can email us at info@imagefactormedia.com and we will promptly remove you from ALL correspondence.